When was the last time you thought about your gas detection devices? 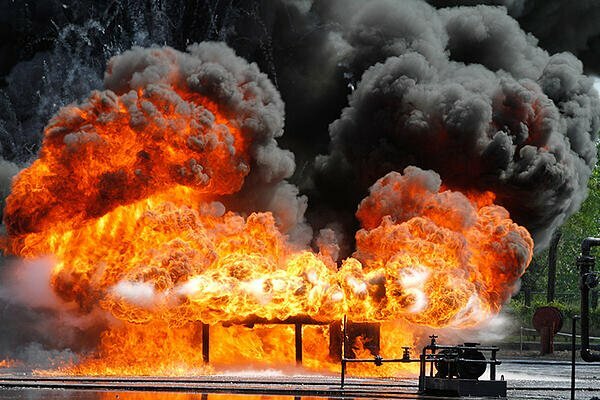 If you work in conditions that expose you or your crew to potentially hazardous gases, explosive atmospheres or oxygen deficiency, chances are you’re not spending enough time thinking about them. Work environments such as confined spaces are prime targets for exposure to dangerous gases and vapors, exposed wires, unguarded machinery and limited access. But, it’s not just confined spaces we need to worry about. It’s anywhere that has a known presence of hazardous gases, fumes or vapors. Here’s what OSHA has to say about the use of gas monitors in CFR 1926.1203(e)(2)(iii). ➤ Learn more about how to choose the right gas detector for your needs here. Many hazardous gases can not be detected by smell. By the time you can smell a threat, it’s probably too late. Don’t let you or your workers get complacent. Work in any industry long enough and there’s a tendency for getting a little too comfortable. Do you ever find yourself thinking that in all the years you’ve been working in the field there hasn’t been a problem. So, why all the hub-bub now? It doesn’t matter if you’ve had a thousand lucky breaks, the chance for serious injury or death due to a hazardous environment is just around the corner — if you’re not prepared. The gas detection gear you need to work safer is available and ready for you to use. So, why risk it? You need to know the exact concentrations (parts per million/ppm) of oxygen in an area, as well as what dangerous hazards to expect before sending a worker in. Oxygen deficiency occurs when an area has less than 19.5% oxygen. Oxygen enrichment is also dangerous and happens when oxygen levels are over 23.5%. Knowing the ppm of hazards and safe exposure will help you prepare your crew with the right safety equipment from the start. Without a properly functioning gas detection system you could be unknowingly putting your workers at risk. Let’s use carbon monoxide as an example. CO2 may be released from an engine, then settles into a hole. Most gases are heavy and tend to do this. Not only do you have the potential for combustion to occur, but the CO2 is crowding out the oxygen levels your workers need to breathe safely. What about when you’re digging in the ground and you come across a decayed and rotting animal carcass. That decayed matter is creating hydrogen sulfide, another highly flammable and explosive gas. Gas detectors can help identify these risks before they become deadly. Properly maintained gas detectors can help you better understand your job site, enabling you to plan ahead with the right safety equipment and protocol. This alone can improve production and reduce downtime, as opposed to being blind to the gas threats that are possible. 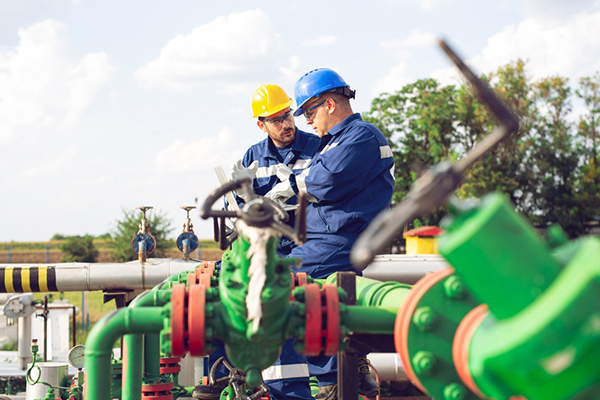 Systems that run in real-time also provide greater visibility into threats and can help safety managers respond to gas-related incidents faster and more effectively. Maintenance: Check equipment daily for cleanliness, power supply and signs of damage. Dirty and dusty monitors can advance the deterioration of your devices. Plus, you only want to clean your devices according to the manufacturer’s recommendations. 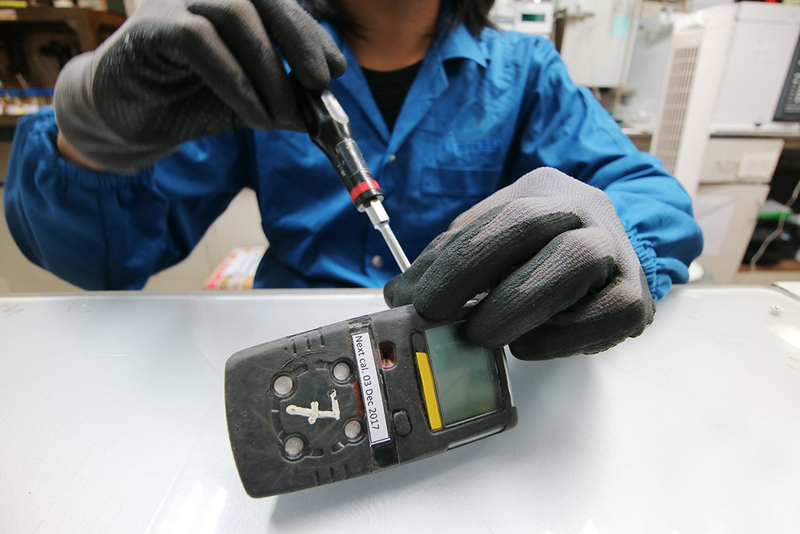 Solvent-based or alcohol-based cleaners can contaminant instrument sensors and lead to ineffective readings. Ensure good working conditions and correct functioning regularly through bump testing and calibration. 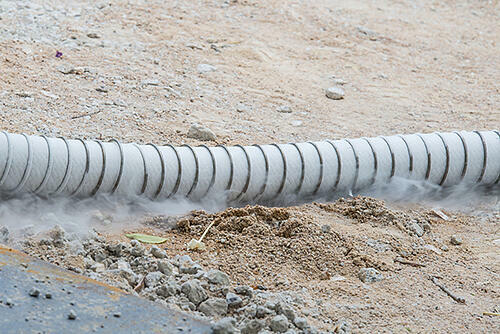 Bump Testing: Conduct bump testing every day before beginning work. Bump testing works by exposing the monitor to a certified challenge gas. The device should trigger alarm if it detects the gas. This does not check for accuracy of the reading however, so your device will require regular calibration. Calibration: The risk for calibration drift can be deadly and bump testing is not enough. 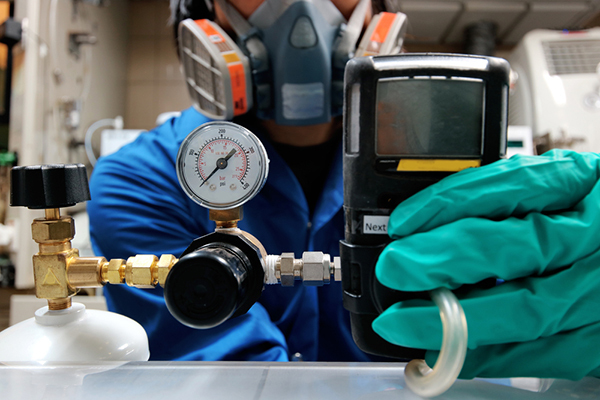 Calibration is needed to be sure your devices accurately read the gases it is designed to monitor. When calibration drift occurs readings can become unreliable and inaccurate which, when it comes to dangerous environments, can be deadly. Exposure to toxic gases or inadequate oxygen can cause worker illness, injury and possible death. Make sure to follow the manufacturer’s recommendations on calibration and adjust based on usage. And keep detailed records of each maintenance activity. This will help you determine when a replacement may be necessary. ➤ Help is Here: RMI can help keep your gas detection devices working properly. Learn more about our Services Center. Training: This shouldn’t surprise you. The cornerstone of any solid safety plan is worker training. Inexperienced and veteran workers should get regular training (even if they say they don’t need it) on how to read, maintain, service and calibrate the instruments that can save their lives. Don’t forget to have a rescue plan in place should an emergency happen. Following the manufacturer’s recommendation for maintenance not only improves safety on your job site, it has a major impact on productivity and profitability. A detector that is operational and reliable will provide accurate readings, allow you to make better operational decisions and result in less downtime. Sounds like a win/win! 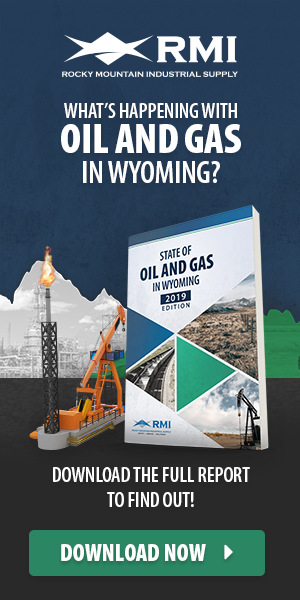 If you’d like some further guidance, bring your gas detection devices and equipment to the service center at Rocky Mountain Industrial Supply. We’re here to help. Click here for more information.